I received an email from my client rep today regarding the new look for Clickbank.com and I wanted to share it with you (plus a nice new tool they released). Before I show you the new Hoplink Shield, let’s take a stroll down memory lane and look at the previous Clickbank designs. This is a good case study to follow regarding the evolution of design with an evolution of the business itself. 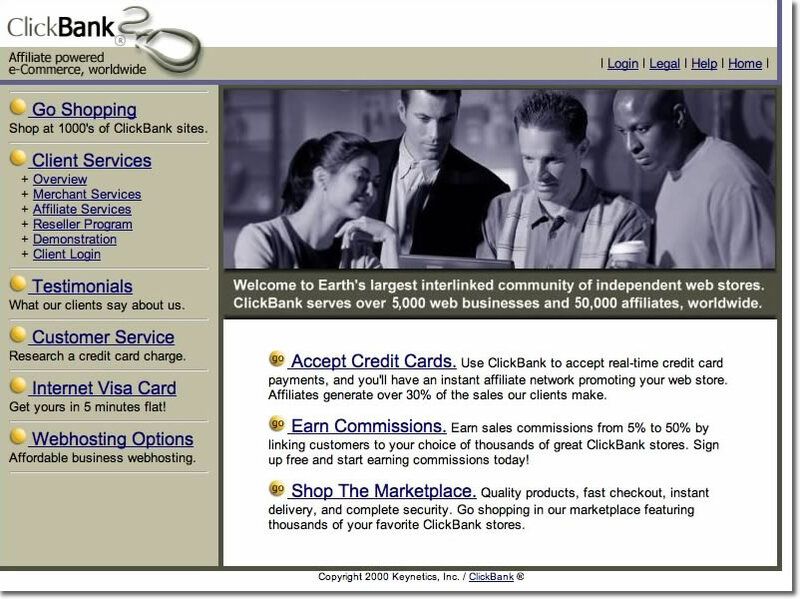 Today Clickbank has a truly unique design integrating several technologies that were but a dream when they opened their doors over a decade ago. In 2000, they did a very slight redesign that at least added a clear distinction between merchants and affiliates (the two segments they were appealing to). 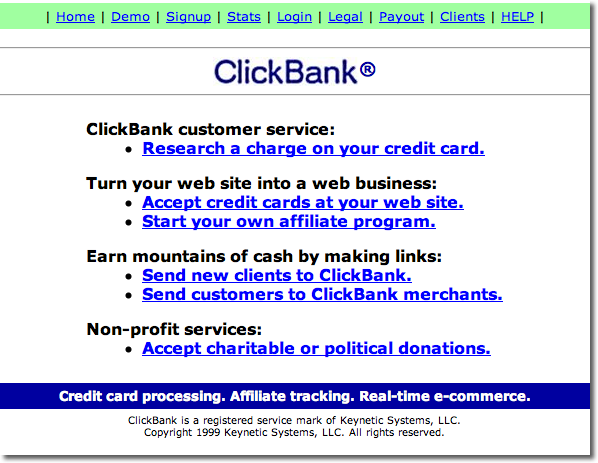 2001 marked a noticeable improvement in design and the look that would go on to represent Clickbank.com for the next 6 years. Notice the much better use of real estate in explaining what their product is and who could use it. They were still missing a clear Signup button though. Making a huge improvement (and 6 years in the making), Clickbank released this design in 2007 as the previous look was much too dated. With a clear description of their business in the middle of the top fold, Clickbank accurately described itself as the, “Internet’s leading retailer of digital products.” With the simple headings and clear call to action this was a very usable redesign. My main concern with this look, although it was light years ahead of the previous one, rested in the fact that it still felt too bland and corporate. So here we are in 2009, and the world’s abuzz with things like Twitter, Blogs, YouTube, and Facebook, and Clickbank thought it time to show off a new look…a home run if you ask me! 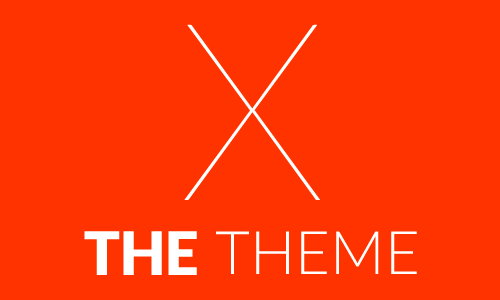 The red, yellow, green, white, and faded red contrast well together, and I love the use of the footer. They’ve incorporated a blog to their suite of new social media and the homepage even keeps a running counter showing the over $1 Billion paid out to merchants and affiliates (all without ever having a late payment) over the past 10 years. With the redesign also came the release of a much requested feature: encrypted affiliate links. It’s been proven time and time again, that many people are suspicious of clicking links when they know it’s an affiliate link. While there are several quick and easy ways you can do this on your own (like creating a simple php redirect, an html page with the link, or any number of other things), Clickbank now allows you to simply enter your Clickbank ID and the Vendor ID, then they encrypt it for you. Taking this Hoplink Shield a step further, they allow you to decode the link by simply entering the encoded version, then hitting Decode. Here’s what it looks like. Since our site caters to those looking to make money online with a blog or website, it’s important to take a way a few things from the Clickbank design model. In The Beginning, Worry About The Product – If I’ve said it once, I’ll say it a thousand times more: Focus on content first, design second. While usability is important, if there’s nothing for your visitors to “use” then all you have is a pretty, expensive design. When the content is good, when the product is good, when whatever service you’re providing on your blog or website is in fact GOOD, people will continue to use it, come back, and tell their friends even if the design is crappy. As The Business Evolves, So Should Your Design – Through the years, Clickbank’s core business has stayed the same, they’ve just gotten better at it (and bigger). Along the way, they’ve made design changes that have coordinated with those improvements, be they technology or functionality. As your site and online business grows, be mindful of the ways you can tweak your design so it evolves with your business. Keeping your look fresh and current – but not trendy – shows your customers and visitors that you are actively engaged in your craft. For more information on Clickbank, be sure to visit their site and read about their unique business model. They are the marketplace for digital product owners (merchants) to list their products for sellers (affiliates) to promote. Promoting Clickbank products is how I got my start in Internet Marketing so many years ago, and it continues to be an integral part of my online businesses to this day. This looks a lot more unique than the blue that was there. Much agreed, solomon. The more I look at this design, the more I like it. 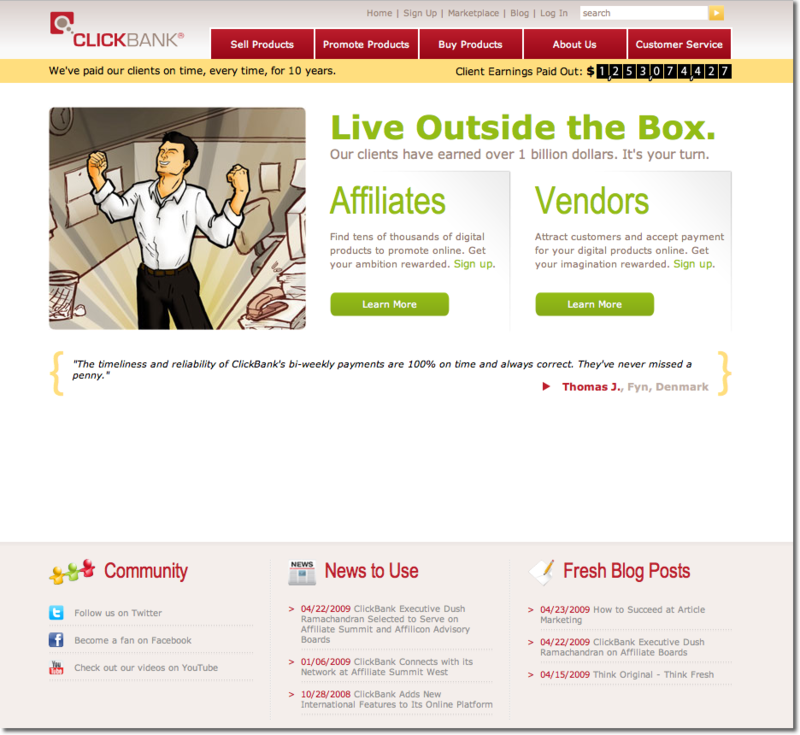 I really like their new comic style walk-through of how Clickbank works. Indeed, this one looks more unique. When I saw the new design I loved it, clickbank did good on the design I have no complaints! Love the screen prints! I signed up for my first CB account in 1999 so I remember every single one of those. What a trip down memory lane. Thanks for sharing that. AJ, I thought I was old school for signing up in 2004. It’s nice to know there are some people who have been there since the beginning and still going strong! It looks better – more customer friendly like. Really neat blog post. Seeing those changes on one page. They’ve come a long way. I think giving your sites a facelift on a regular basis is important not just for style but to reinvigorate returning vistors (which clickbank of course gets truckloads of). It has the effect of slapping an unconscious person on the cheek. I have to admit, I love the new design. Most “comic” character designs are cheesy, but they seem to pull it off with style. Hats off to them. Thanks for sharing, you do a good job. I like your blog very much. They’ve come a long way. I think giving your sites a facelift on a regular basis is important not just for style but to reinvigorate returning vistors (which clickbank of course gets truckloads of). This new design is way better than the old and easier to navigate. This new look is more main stream and doesn’t have the stuffed shirt look like before. 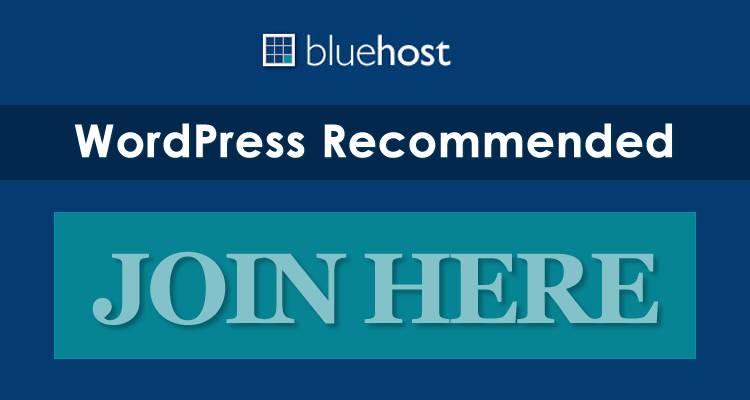 It is a best affiliate! 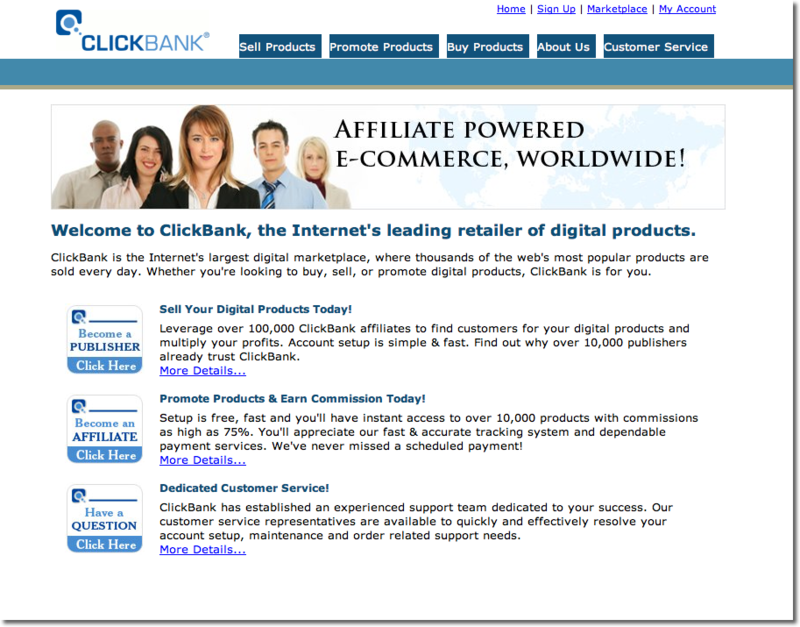 I think that the new web 2.0 look for clickbank will certainly attract more users and increase there conversion ratio. I am still a little confused about the benefit though I can really receive from using there services, anybody had any luck with them? it’s interesting to see the change in design of the site over the years. I imagine at the time people objected to the changes, but soon grew to like them. I guess we always hate change. I’ve got used to the latest Clickbank style now, but I think my best was the 2001 layout. That’s how it looked when I first started internet marketing.